bloggers, web developers or agencies, small businesses, personal websites, event planners, e-commerce, marketing agencies, public relations, retail, hospitality, non-profits, and more. 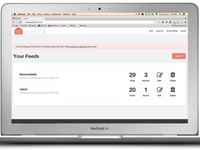 Juicer is a social media aggregator that allows you to pull together all your social media channels in a customizable stream that can be embedded anywhere with ease, and customized to look like its naturally part of your website. 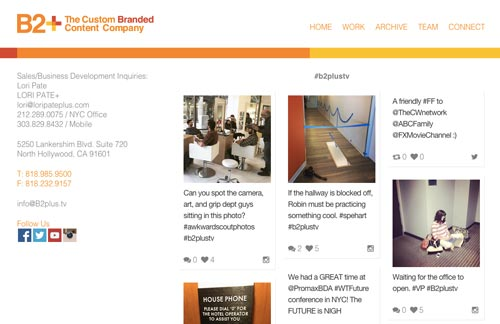 It can be used to create a stream of buzz, testimonials, or official content from an organization to be displayed on a blog, website, or even on a screen at a live event. In this format, it is powerful for marketing and increasing customer engagement. Pros: It's very easy to add to a website (I've tried it with both Wordpress and Shopify with no issue) and you can add in branded elements or change the design to fit your site. I love the ability to filter the social content on your feed to exactly what you're looking for. And I, of course, love that I can connect so many social channels in one feed. Cons: Juicer has worked great as a social wall for my needs, I haven't really run into any issues or complaints when using the software. 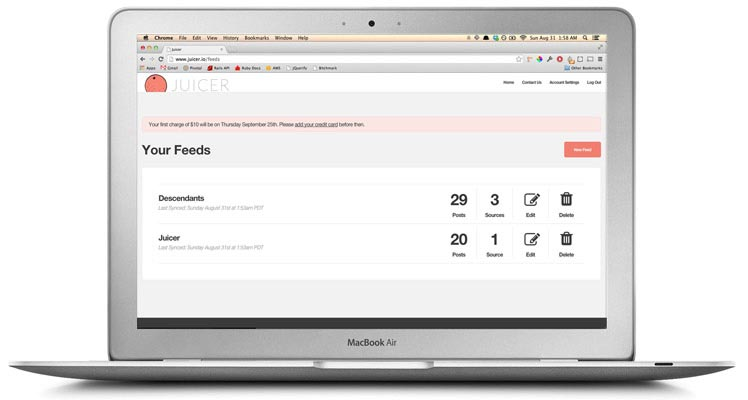 Overall: Juicer is incredibly easy to integrate into any site I've worked with and it's perfect for clients I work with that have a lot of social accounts and want to use a social feed to display them all on their website. Pros: I loved how easy the set up process was. Once Juicer's up and running you don't have to constantly check on or maintain it, which is great. There's also many options for design and customization which helps when trying to match the design of the website in question. Cons: I had a bit of trouble getting the embed code set up on my first website, but the customer service team helped point me in the right direction! Overall: Overall, an excellent experience so far. 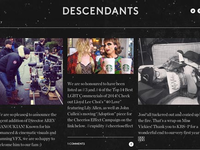 I'm really happy with how the feed looks on my website and I feel as though it's really made my marketing efforts go farther. Pros: I like how simple it is to get this set up and embedded into your site, nevermind using the free version for a while before committing to a bigger, more feature -packed option. Everything is easily controlled from the dashboard so no need for coding or complex management. 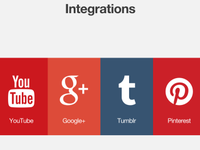 It's also a really nice way to display social other than just putting "like" or "share" buttons on the site. Cons: I don't really have any negative feedback at this time. Overall: I have used Juicer on a few different client accounts and not only do the clients like it, but it makes their webpages look really good as well. It's a great resource to offer clients if you're managing their social media or want to make some improvements to their site. Pros: Juicer is a great way to manage tagged photos for our organization. Cons: I have no complaints about this product. Pros: It's really easy to use and integrate into a website. It took maybe 10 minutes to implement. 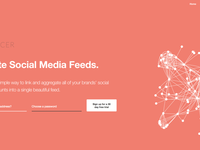 It's also great for projecting a live social media wall for your event. 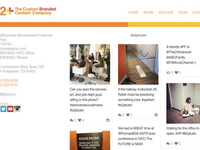 It gets people more engaged and integrates social media effortlessly into any event. When people see it right there in front of them, it adds a lot of excitement to the space. Cons: Can't really think of any at the moment. It does exactly what I want it to do. 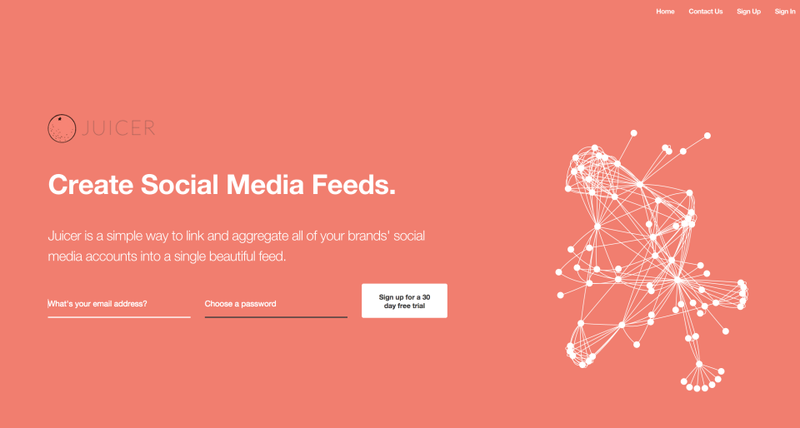 Comments: Our page embed of the Juicer social wall is in beta on our site at the moment. Ryan has been fantastically helpful getting things set up and quickly answering umpteen questions. If the product turns out to be as robust and thorough as the support, when we go live, I'll be doubly impressed. Juicer is not for drinking. Pros: I like the catchy name, I'm able to collect all my hashtags and put them in one place. Cons: Juicer is hard to search for, since when you type in the name to google, juicing machines pop up first.